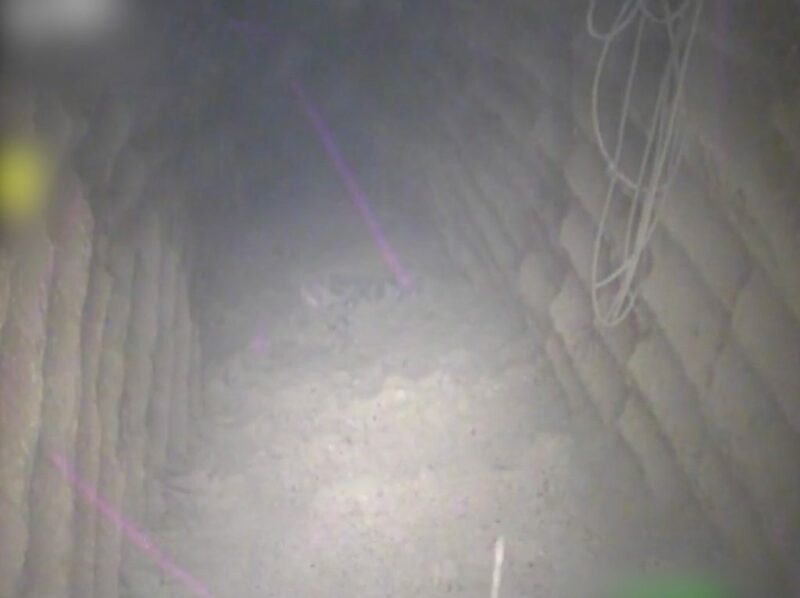 In footage that was filmed inside the Hezbollah terror tunnel the IDF discovered running under the border fence into Israel earlier this week, several figures are seen in the tunnel – and then running away, after they became aware that they were being filmed. One of those figures, i24 News reported, was an Iranian engineer who worked for Hezbollah as the commander of its observation forces in south Lebanon. “Security forces confirmed,” the channel said, that one of the two individuals seen in the footage was an Iranian named Imad Azaldin Fahs, “a Ph.D. in mechanical engineering from Tehran’s University of Technology. He is in his 30s and married with two children.” Hezbollah had claimed that the two people in the tunnel were “drug dealers,” a fact that was partially correct, the report said; Fahs had apparently “trained with drug cartels, drug dealers on the American border.” That fact confirms that “there is a real connection between Hezbollah and drug cartels in Central and South America,” the report added. In what could be the first step in a United Nations Security Council condemnation of Hezbollah and Lebanon, the U.N.’s UNIFIL force on Thursday confirmed the Israeli claim of the terror tunnel’s existence. IDF Northern Command head Yoel Strick accompanied the head of UNIFIL forces in South Lebanon on a tour of the tunnel. The results, the UNIFIL commander said, would be sent to U.N. headquarters, as well as to the Lebanese government in Beirut, for clarification of what the government was planning to do in the wake of the violation of UN resolution 1701, which lays out conditions for the ceasefire between Israel and Lebanon, which includes requiring that the Lebanese government prevent Hezbollah from operating in south Lebanon.